Breast implants and breastfeeding are related concerns for women who are considering an augmentation procedure. Women who have already received surgical implants often have to deal with this important situation after starting a family later in life. Regardless of whether you are considering breast enlargement surgery or have already undergone the procedure, it is crucial to understand how breast implants can affect your new baby and your ability to breastfeed. This essay provides some crucial facts covering this sensitive topic. Silicone was once vilified for being a potential cause or contributor to a host of mysterious health problems. Some of these problems, such as breast cancer, are life threatening. It is for this reason that the FDA banned silicone implants from the general US population in 1992. The following years were spent completing comprehensive clinical studies and research projects to determine if silicone was indeed a threat to human health. In 1999, The Institute of Medicine released a 400 page report detailing every conceivable general and specific effect that silicone was proven to have on a woman’s health. The report cleared silicone as a health hazard and proclaimed it an inert and non-bioreactive material. Silicone did not cause cancer, connective tissue conditions or any other specific illness, according to the US government, and many other international government reports. Along with general health studies, the IOM also concentrated on silicone and its effects on pregnant and nursing women. Silicone breast implants were not found to be a danger to fetal development, nor a deterrent to breastfeeding. In fact, women with silicone breast implants were recommended to nurse their children, since this is still by far the best source of necessary nutrients and antibodies for a newborn baby. The biggest concern for women who undergo breast augmentation surgery is whether the actual enlargement procedure will leave them anatomically altered and unable to breastfeed. Some surgeries can affect the nerves and milk glands which control the ability to nurse a newborn. Certain procedures, such as mastopexy and periareolar breast augmentation are particularly high risk for disrupting the ability to breastfeed. Make sure to discuss the potential effects of any aesthetic surgery with your doctor, prior to making the final decision on whether breast enlargement or lift is right for you. Remember that a surgeon’s skill, patience and precision are important factors in preventing these types of operative side effects. This is why it is so important to find the very best cosmetic surgeon available to perform your selected procedure. TUBA and transaxillary breast augmentation do not make any cuts on the actual breast mound, thereby greatly reducing the potential of suffering any breastfeeding related complications. Try to consider the potential for breastfeeding, regardless of your age and current life situation. Some women do not really think this is a deciding factor in whether or not to get implants, or when choosing their doctor or specific procedure. Remember that life and attitudes change, so you do not want to limit your future options to nurse a child based on lack of forethought in the present. Breastfeeding is one of the most blessed of all life’s experiences and it is a time of intimate bonding between you and your new child. Make sure to do everything possible to keep that special gift available to your children, now and in the future. 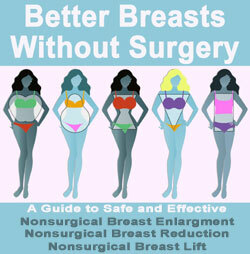 Discuss the potential effects of your surgery on your ability to breastfeed before deciding on implants. With some careful planning, you can have your beautiful new breasts and continue to share their miraculous use with your yet unborn children in the future.